UCLA is among the top 10 universities in the country in the number of doctoral degrees it awards each year, and among the top 25 for professional degrees. There are over 100 separate academic programs, and eleven professional schools. Graduate students make many contributions to undergraduate education, from mentoring students working alongside them in research labs to sharing their expertise in the performing arts to designing innovative methods for developing writing skills. They illustrate the path to advanced degrees and can serve as role models for students interested in going on to graduate or professional school. 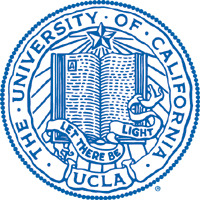 UCLA consistently ranks among the top ten universities in the world for educating undergraduates who later earn Ph.D.s from U.S. institutions. NOTE: CosmoLearning is not affiliated or endorsed by University of California, Los Angeles. This page is only intended to credit this content provider for their educational content being included on the CosmoLearning site.